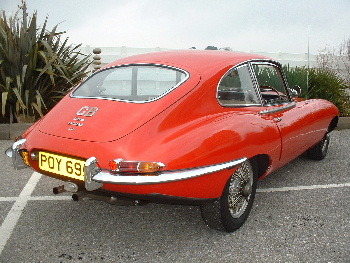 JAGUAR E-TYPE 4.2 FHC AUTO 1968. 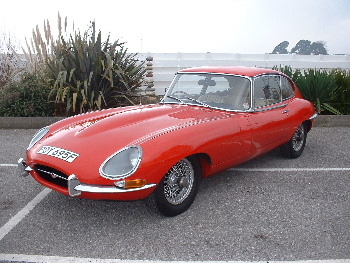 Finished in Carmine Red with Full Biscuit Leather,Stainless Steel Exhausts,Wire wheels,In car Hi-Fi,Opening rear qaurter lights,Bonnet bulge/Louvres,Last Owner 22 years,Lots of History/Bills/Receipts Etc,Full Tax Exemption,MOT,d,Drives very well but could benefit from a repaint and TLC,Genuine Usable E-Type for less than £10,000 !!! !